A square byzantine planter with elaborated hand-carved geometric decorations. 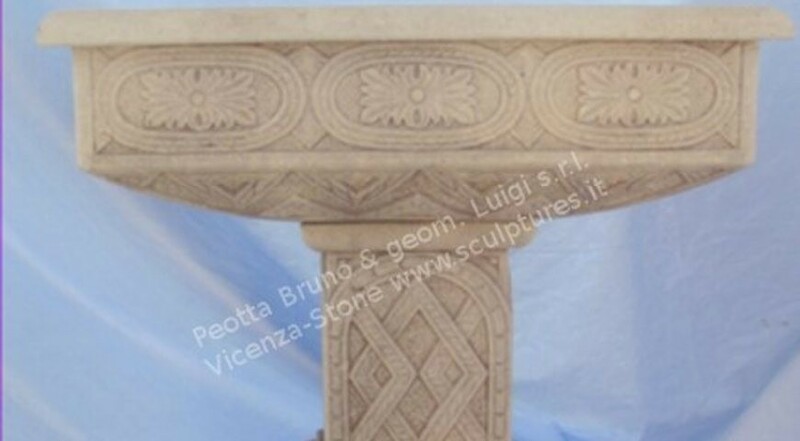 The top square planter is decorated with flowers in geometric form, typical of the byzantine empire; the base with rhombus elements with leaves carved on down areas. The Byzantine Empire (or Byzantium) was the Eastern Roman Empire during the periods of Late Antiquity and the Middle Ages, centred on the capital of Constantinople.